#Swiftify, The Value of Art, and…Art as Minsitry?? Home / latest / #Swiftify, The Value of Art, and…Art as Minsitry?? Most people I’ve talked to don’t feel too bad for Taylor Swift specifically, because they’re perfectly aware that she’s not hurting for money. The biggest outcry I’ve heard is coming from those who have a legitimate and deep concern for smaller, indie musicians/artists. They fear that smaller artists can’t make a living on the fractions of a penny/per play they earn on streaming services like Spotify. I really do understand this concern. Shouldn’t a person be able to make a living doing what they feel they were born to do? Aren’t services like Spotify getting rich on the backs of these poor naive artists? Spotify CEO Daniel Ek recently wrote a thoughtful blog post defending how much the service pays artists. It seemed sincere to me, and I think he does a decent job dispelling some major myths and misconceptions about what streaming services actually are and how they function. It may be true, as Ek eludes to in his post, that the money Spotify pays out to the music industry (he says 70% of company revenue) might not be finding it’s way through the corporate maze and trickling down to the artists. It may also be true that Spotify just needs to pay out more money. If artists wish to be viewed as productions workers, who produce a product or commodity, then of course, they deserve to be compensated fairly for their time, materials and labor. No doubt. However, if artists do want to be considered merely production workers, who function in a neo-liberal market economy like the rest of us, they must accept that the value of art is simply the same as market value and must succumb to the rule of supply and demand. Therefore, if small time indie artists want to make a living on their art, it’s in their best interest to produce a “product” that is appealing to the largest amount of people, which would obviously allow them to maximize their profit. To be clear, I’m not saying pop art = the best art. 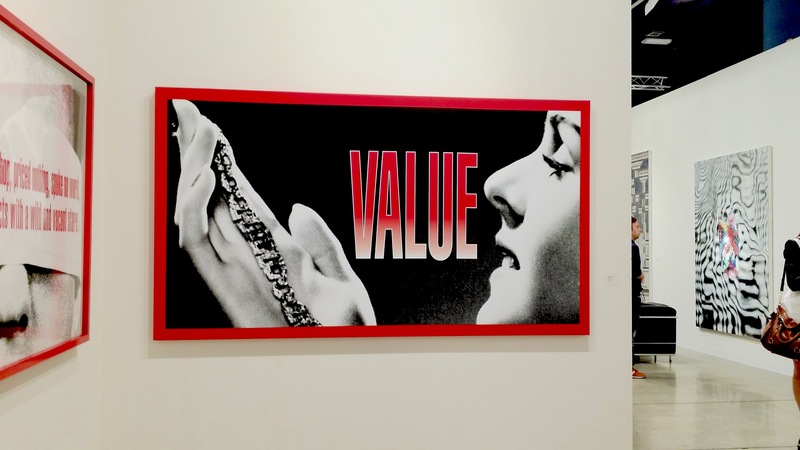 I’m saying pop art = the most profitable art. Now here is the predicament. Most artists I know don’t think of themselves as production workers, and they don’t think of their art as a product or commodity. Art is more than that to them, much, much more. It kills me to say this but, again, for me it’s pretty simple. If one wants to “make a living” in our economic situation, don’t be an idealistic, small-time indie artist who makes beautiful, thoughtful, touching, personal, esoteric and soulful art that might only appeal to a small, select enlightened few. Be a banker instead. Now I’m the first to point out my (perhaps naive) ideology here. I put art up on a high, high pedestal. I honestly do think that, in some real sense, selling art for profit denies its worth. Too often art ends up being trivialized down to numbers, targets, and spreadsheets. And I’m sorry, but something that embodies a piece of a persons soul can’t be quantified in this way. Further, if you’re a process-relational panentheist like me who believes no person exists in a vacuum (all artists build on and appropriate what came before), and that every part of the cosmos reflects, and brings into existence, every other part, art is all the more precious because it is something that is created by, and for, the common good. And be assured, that is exactly what true art is. Effective Art is what artist Kenyon Adams calls an embodiment of a ‘hoped for’ state. The purpose of Art, like true, healthy religion, is to induce radical transformation. I love when Adams talks about effective art creating “a liminal space which is shaped by our sensual engagement…” The best art, for Adams, creates “a doorway that, when stepped into, takes us to a new place where transformation is more likely to occur.” This is why I still hold on to the notion that art is more comparable to ministry than anything else. If one is doing ministry or art, chances are they’re probably not doing it for the money. More often than not, I (again perhaps naively) like to think that they’re doing it for a higher, more noble purpose. So are artists and those who are committed to a life of serving others doomed to a life of poverty? I don’t know. Systemic problems require systemic solutions I guess, but to quote the punk rock band Gaslight Anthem, “nothing truly matters that you cannot get for free.” (HT to @SickBoyMcCoy for that song lyric).